If you haven’t figured it out yet me and the girls really try to be inventing when it comes to different ways to paint. 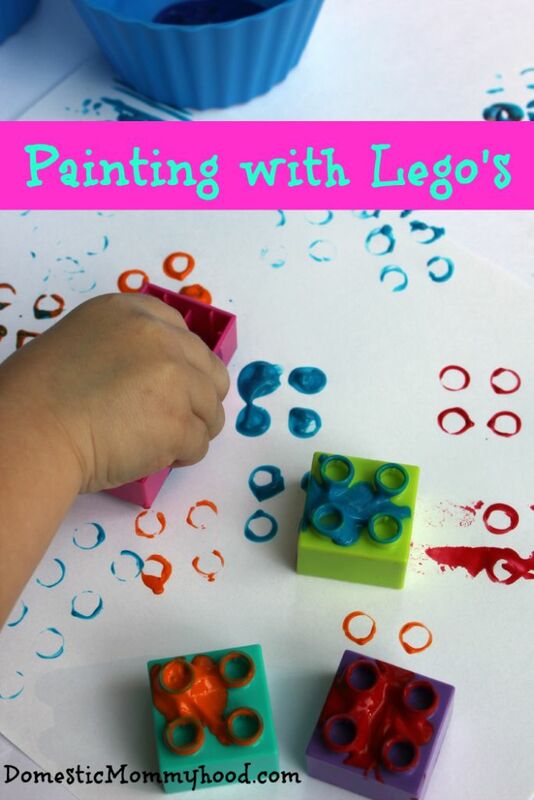 With the Lego Movie coming out a while back you know we had to do some fun painting with Lego’s and had a great time. It was easy and fun and we ended up having some pretty cool masterpieces to hang on the wall. 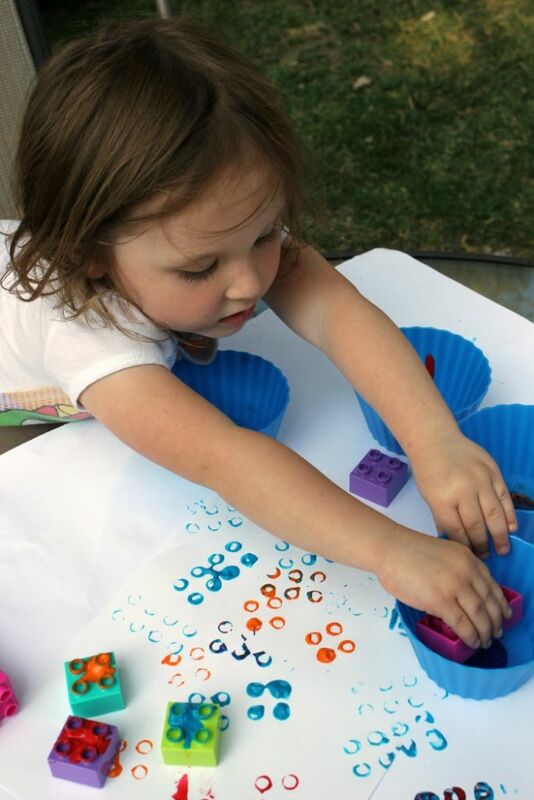 We started off by placing some fantastic Lego girly colors into some bright colored bowls for Charlee Ann to dip the paint into. 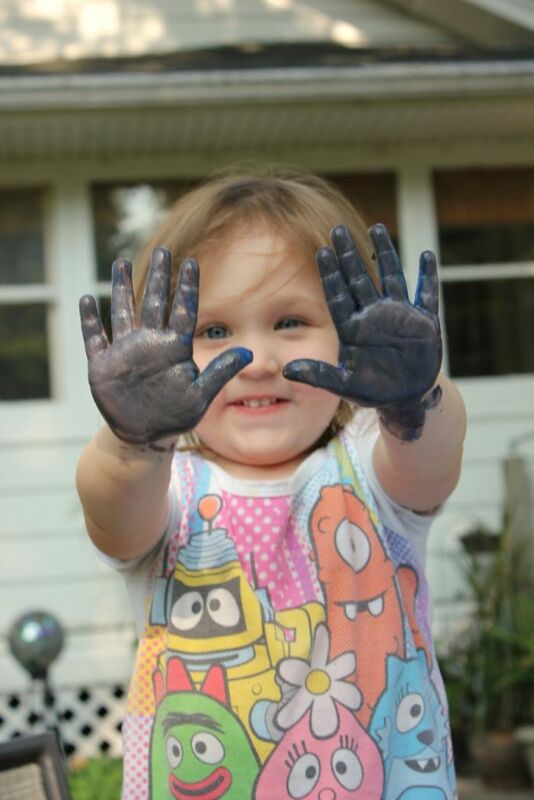 Then she dipped the Lego’s into the paint cups and headed of into painting with Lego’s Heaven…… She loved it. 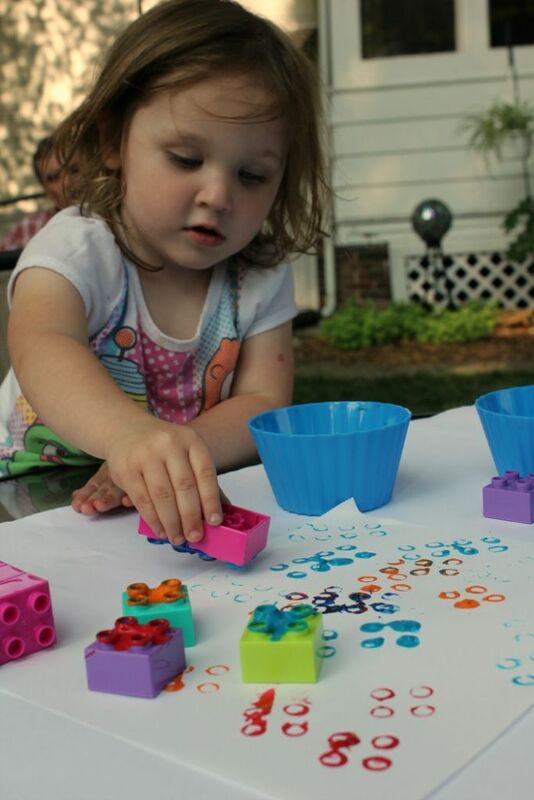 She absolutely loved how she was painting with a square Lego and they prints came out CIRCLES!! It was AmaZing!! She had a really great time painting with Lego’s and we worked on our shapes and our colors! The concentrated look on her face was very real!! She was hard at work. 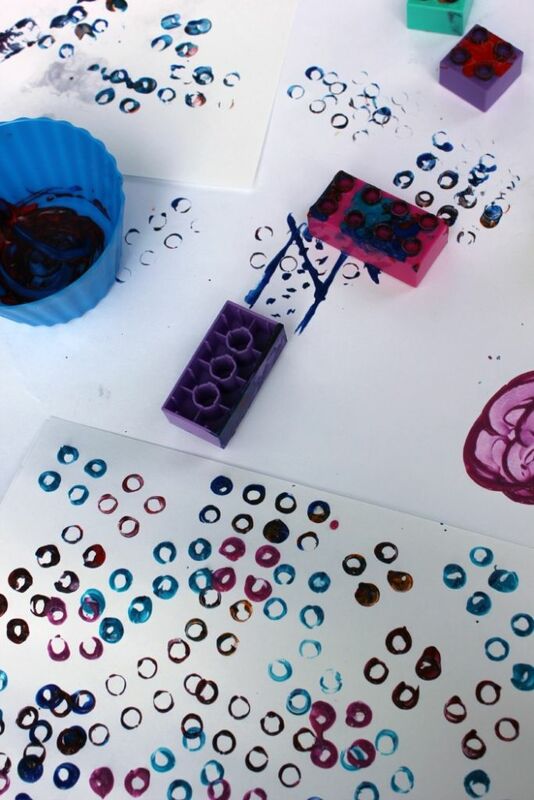 We had to finish off our painting with Lego’s session with painting our hands…..again! Our masterpieces were pretty cool! !